Learn to brew at home at Brooklyn Kitchen Labs. BEER ME: How in awe are your friends going t be when you show up at their next rooftop barbecue with a six-pack of beer you brewed? Yourself? At home?! The Brooklyn Kitchen’s Dan Pizzillo takes you through the basics—from tools to malt and yeast—of DIY suds at tonight’s Home Brewing crash course. 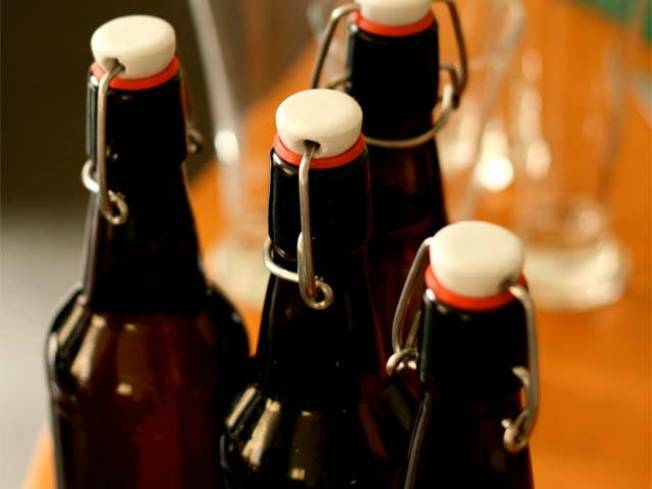 You’ll take home some home brew and your very own complete kit. 6:30PM. FUNNY HA HA: It’s that time of year: The Upright Citizens Brigade presents the Sixth Annual Sketchfest, three days of frantic comedy from well-known groups like Murderfist and unknowns--whom you’d best see now, before they become the Kristen Wiigs of tomorrow. 7PM; head here for full schedule. OLD GUARD: People, when you load the LiveNation page trumpeting both the Backstreet Boys at Hammerstein Ballroom and New Kids on the Block coming to Radio City, it’s kind of hard not to fall into some sort of instant hole in the time-space continuum. And yet: the Boys—invented in Orlando, buffed to a high sheen of worship by late-’90s tweens everywhere—will indeed be there tonight. Say what you will, but they’ve churned out some catchy pop. 8PM.